Every night before I go to sleep, I find myself lost in the world of Youtube. It seems to have taken over this generation - and literally anything can be found on Youtube. And so its easy to spend hours in front of my laptop, clicking on each video in my sub box and following people along in their everyday lives. Sounds a little creepy when I put it like that, right? But vloggers are my favourite to watch on youtube, and seeing the different things that people do is something that I really enjoy. It started like this for me with the world of blogging. I loved reading blogs - especially lifestyle blogs - and two and a half years ago I made the decision to start my own. And here we are, years down the line, countless posts and photographs, and I'm still really enjoying the blogging world. I'm sure you can see where this is going... I liked reading blogs so I started a blog; I like watching vloggers... so I've started to vlog. It's something that I've been contemplating for a while - I attempted vlogmas last year and failed, I tried to film some of my travels in Italy this summer and got scared, then I tried to film in London but got embarrassed. There's always been something holding me back, but last weekend I just did it. I can't say it was easy - heck I made awkward eye contact with the camera half the time, didn't speak loud enough and had bad lighting for the majority of filming - but I did it. I bet this really makes you want to see the vlog now! But what I've always been taught is that practice makes perfect, and the more you try the easier it gets. SO here's hoping that after a couple more vlogs I'll be a lot smoother. Here's to introducing my Youtube channel then! It doesn't mean that my blog is going to be neglected. This blog is my baby, and its not quite ready to live without me yet. So blog posts will be continuing as regularly as I can ( and I have plans to improve that regularity) and youtube will have infrequent little vlogs if and when I do something exciting. Hopefully the two will compliment one another quite nicely! So, I thought I'd make this post as a way to introduce my new channel! I considered continuing the name Under The Scottish Rain for my channel, to keep it linked to my blog. But thinking about it, it didn't make sense. 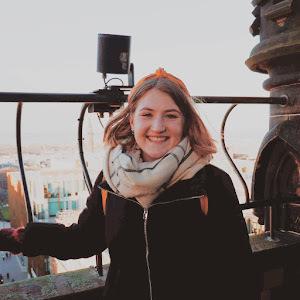 I plan to mostly vlog any travels that I do - that's whether or not my gap year goes ahead next year- so connecting it to Scotland doesn't really fit. The answer lay within this problem - I want to travel. I'm constantly day dreaming about the places I could go - anyone else find themselves imagining they were somewhere warmer, or more exciting? - I'm a wander-luster. My head gets caught up in these thoughts - and hey presto - I'm Lost in Wanderlust! 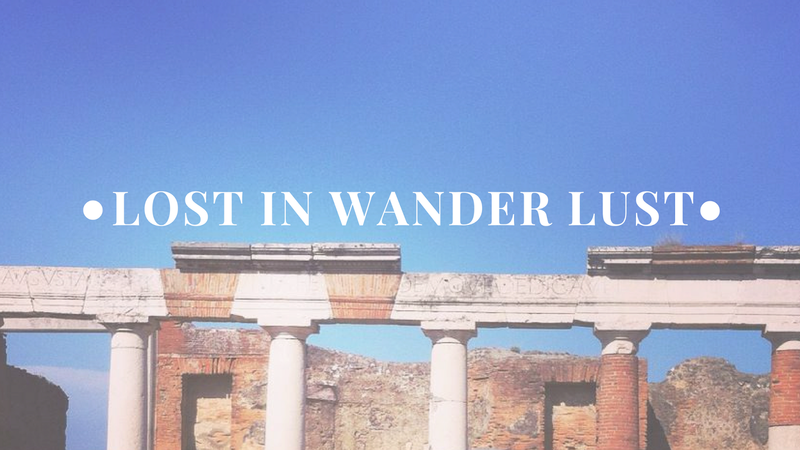 So what's to come on Lost in Wanderlust? This first vlog that I have up isn't exactly the most exciting weekend, but it was a weekend that I took the all too familiar journey back up north to Aberdeen. It was my mum's birthday so we thought we'd go home to celebrate. We did a spot of baking, we went on a few dog walks, but otherwise we had a pretty relaxed, chilled weekend. What I did start realise while vlogging is that its totally not as easy as youtubers make it look. I'm not quite comfortable in front of the camera yet - and editing made me cringe big time at the sound of my own voice. Its so different talking thoughts aloud then it is writing them down in a document to publish. Blogging is familiar, its easy to me now to type my thoughts into a wee blog post. I can only assume vlogging will become like second nature too - it's still not my first thought to grab my camera at the start of the day or film anything that's made me laugh. But if you bare with me, and I do hope you do, then I'm sure my vlogs will become as polished as Zoella's or the SacconeJoly's.. we can all dream right? What I hope you realise while reading this, is that it's taken a fair amount of courage for me to share this and venture into unfamiliar territory. There's a lot of awkward, but hopefully the cuteness of my dog will balance it out for you. I'd love for you to subscribe and see where this new journey will take me!